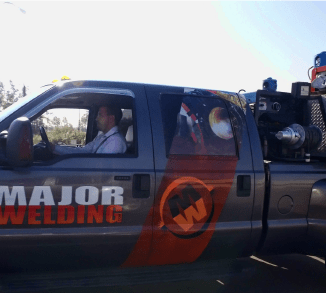 Major Welding Serves All Aspects of the Welding and Fabrication Industry. The ability to build things in house, and also the resources to install everything in the field, makes us a full service welding application company. 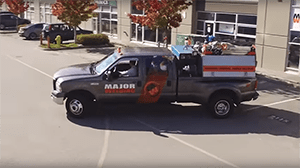 Our mobile welding trucks have the necessary equipment to adapt to any and all situations that may arise throughout any projects. All of our service trucks are equipped with both a generator for mobile work as well as a portable power welder which has the capability of “wiring in” to sites/building where a vehicle is not accessible. 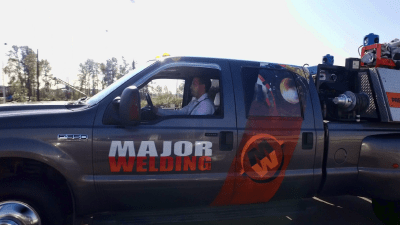 Our Dispatch center for certified mobile welders is our primary service. 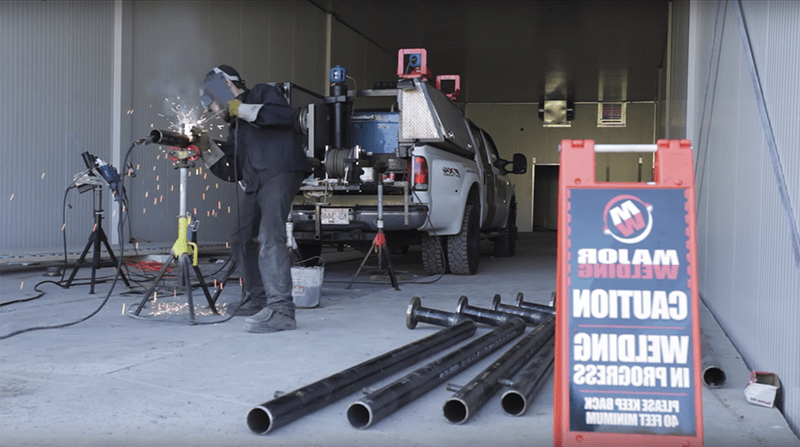 Unlike any other company in the industry, we are not only a “One Stop Shop” for all of your mobile welding needs, but you will never again have to search for a mobile welder! 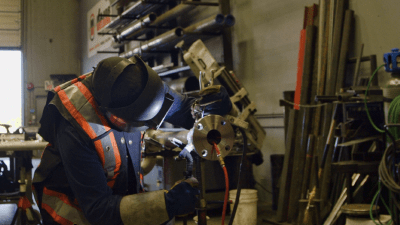 There is no limit to the manpower that we can supply and we cater specifically to clients that require the full scale services of an experienced pressure welder. We are also the first company to offer an online dispatch system which enables our members to request a welder with a click of a button on any electronic devise. Yes, that’s right, and online booking calendar. Our brand and reputation have been built over the years on the backs of our large welding fleet and the tradesmen responsible for operating them because we are capable of handling structural & piping projects from beginning to end, to meet and exceed the standards of any welding code and we have never let a client down. 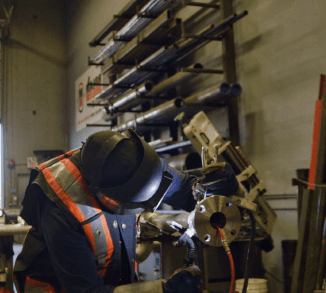 Whether you require our services for an hour, a month, or a year, we have enough welding rigs to support the demand of our clients for any size project, anywhere, anytime. 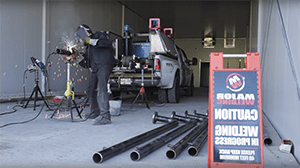 We are a Licensed “A” Contractor registered with the BC Safety Authority and we are also a CWB (Canadian Welding Bureau) Certified welding shop. Therefore, we can meet or exceed most of today’s industry requirements. Our primary shop service is the certified and registered fabrication of pressure piping spools and equipment. Our specialty focusses around projects that require full scale QC package documentation sufficient to meet the highest of global standards. We are NOT an ASME (American Society of Mechanical Engineers) certified shop, however, all of the work that we are licensed to do will meet most of the requirements for packages used anywhere across the globe. Please call the office for more information. Our reputation and repeat clientele for our pipe fabrication are solely based on our ability to continually exceed the expectations of our clients. Our QC procedures and documentation are second to none and we are ALWAYS able to fulfill our tight deadlines. Our full QC packages include, but are not limited to, material inspection & tracking, 100% traceability, MTR’s & heat #’s, non-conformance reports, coating, non-destructive examination, hydro-testing, weld maps, welding procedures, heat treatment, calibration certificates for equipment, photos, etc. We are here to serve the companies and individuals that understand and respect the responsibility required to ensure that every job is done well every time, all the time! 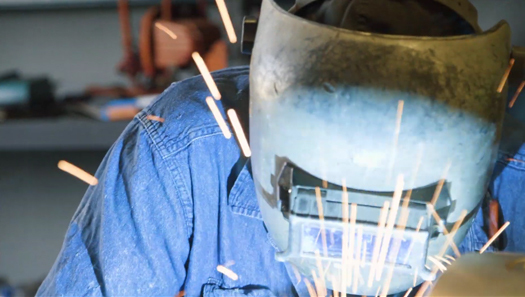 We are a professional company involved in every aspect of the welding industry over the past 20 years. 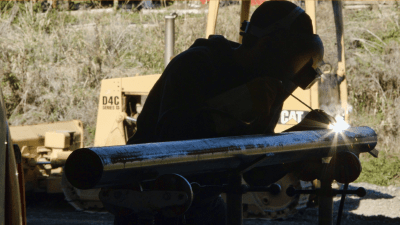 Our knowledge and expertise has and can help coordinate the welding scope of any project by planning to eliminate potential problems before they arise. 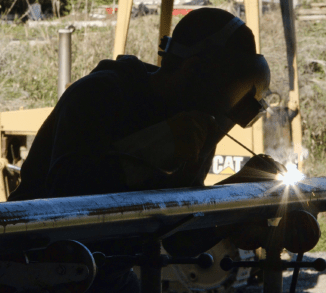 We can assist the site/office management in creating a plan to increase efficiency and profit and decrease costs and scheduling issues for any and all projects that involve welding to any degree. Time and time again I see companies lose money they don’t even know they’re losing, which could’ve easily been avoided if they had the knowledge to do something about it beforehand. Don’t be that guy. Learn from my mistakes and keep your money in the bank. To find out more information, please call and ask for Guy Bouchard.